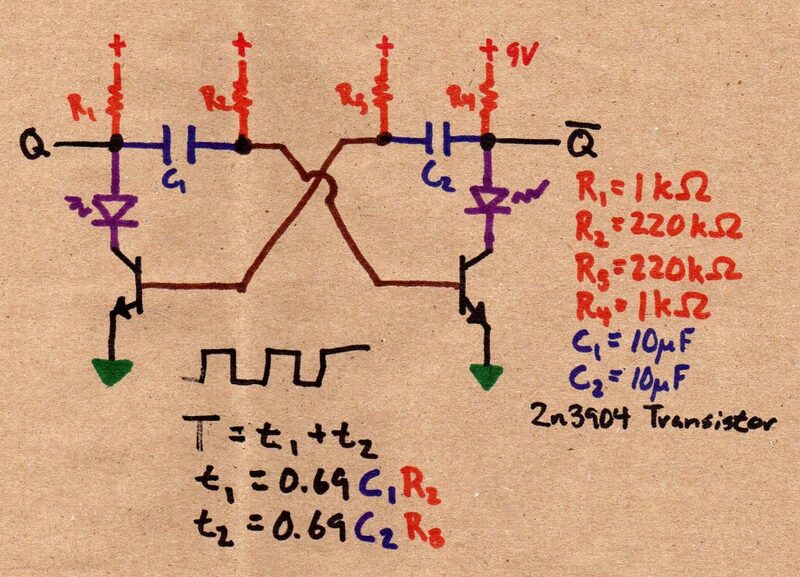 In the previous article we discussed using the astable multivibrator as a duel output timer. 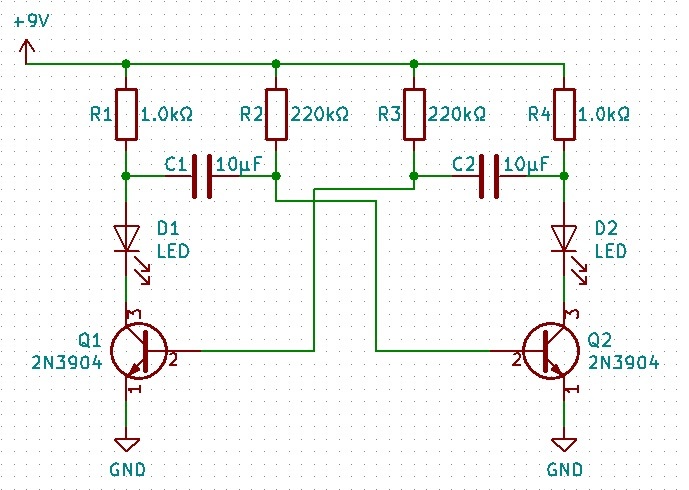 By just adjusting a resistor and capacitor, you can set the timing to whatever you want. I want to explore that option further and show how this is done, the effect you can expect, and how you can also adjust the duty cycle. The schematics are the same as the previous article but here they are again for convenience.